There’s a total “natural beauty craze” going on right now and I am loving it! So many brands are creating skincare & makeup items that are paraben free, chemical free, cruelty free, vegan….the list goes on and on! In today’s “KERRentlyPampering” video, I am sharing a handful of natural products that I have been trying out lately….from deodorant, to makeup, to even skincare….& giving my honest opinion about how they fare! 2. RMS Beauty: You ready to GLOW?! This plant based makeup will leave your skin with a natural, dewy finish! 3. 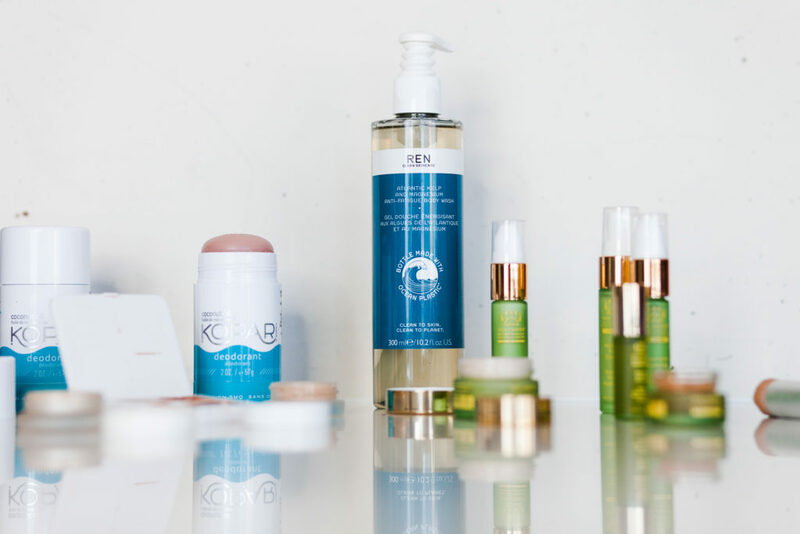 Tata Harper Skincare: Not ready to pull the trigger on an entire new skincare regimen? You can sample the best of this collection in this discovery kit filled with travel size options. 4. Tatcha Luminous Mask: Based on ancient Japanese skincare traditions, this mask is the best way to hydrate your skin quickly! What natural beauty products are your favorites?! Have you tried natural deodorant or makeup? What were your honest thoughts?! Let me know in the comments below! Hi Courtney! Cute video. 😀 I love Tata Harper and have used her products for a few years now (favs are the regenerating cleanser & the resurfacing mask). Also have been using the Kopari deodorant for about 3 weeks now and very happy with it. I’ve tried several natural deodorants (Schmitt’s, Agent Nateur, among others) and Kopari is the best so far. I’ve heard there’s a detox period when switching to a natural product like deodorant. Did you experience anything like this? Yes, watch the youtube video and I discuss the 4 stages of detox I experienced!